These serving dishes are so incredibly easy to make! The possibilities are endless – just choose your favorite plates or bowls to match your decor, holiday, or season. 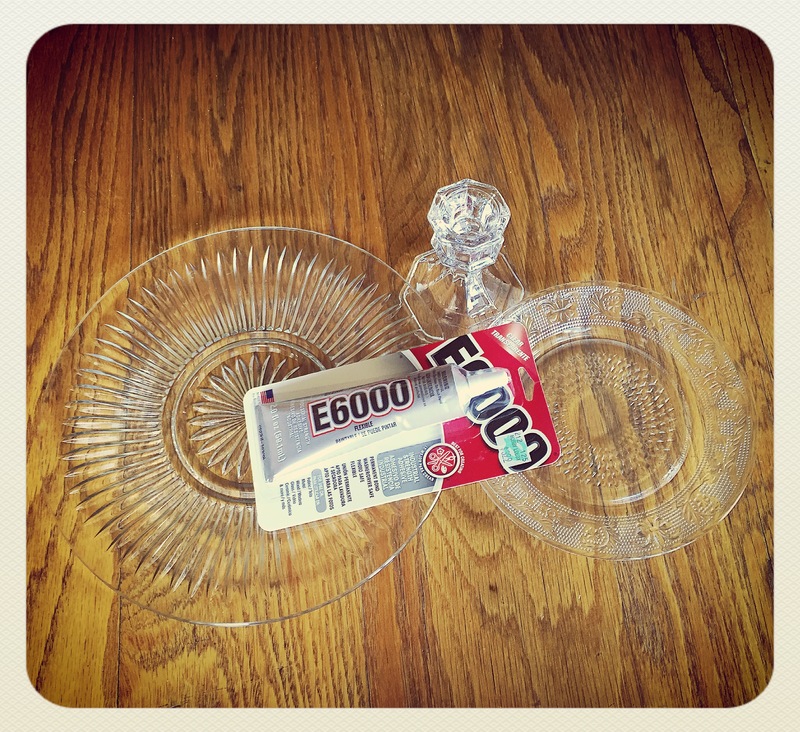 Once you’ve chosen your plates, all you need are glass candlesticks and E6000 adhesive. Make sure to get the clear adhesive – it also comes in white and black so check the package! I picked mine up at Hobby Lobby (using my coupon, of course!). 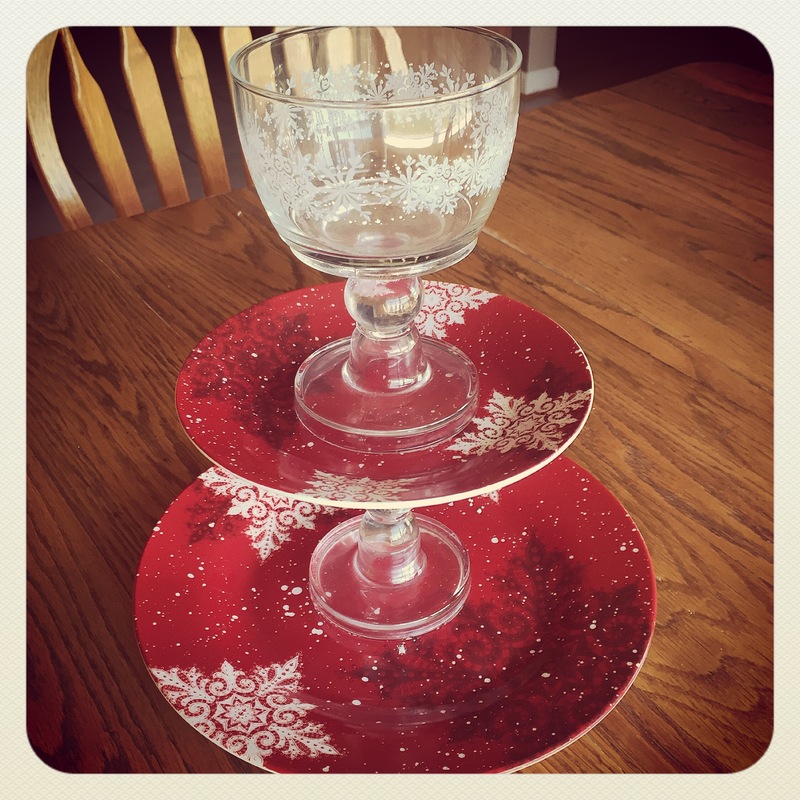 Your local dollar store is a great place to find your plates/bowls and candlesticks. 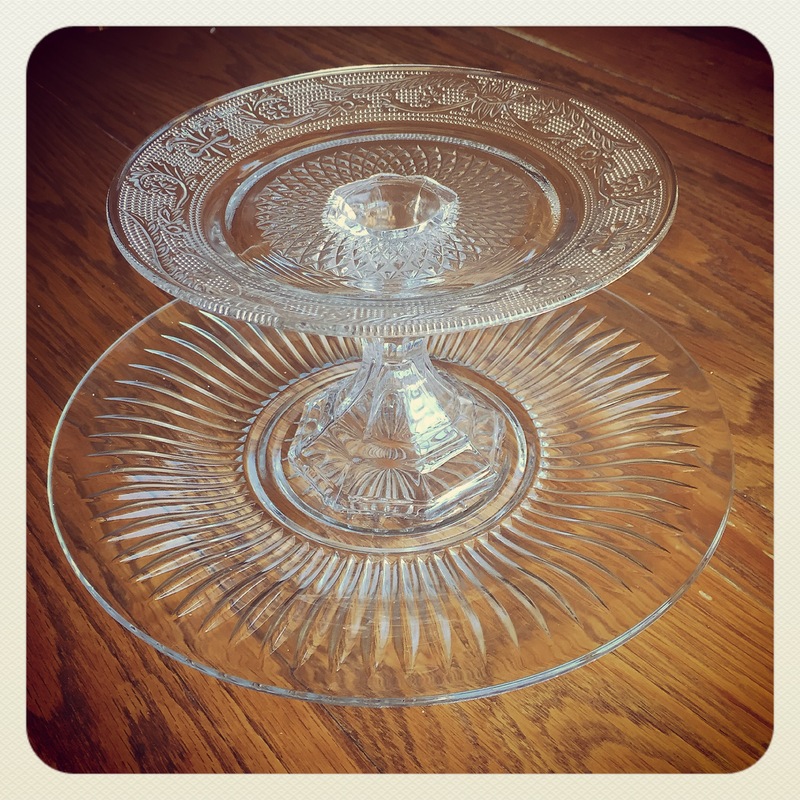 I got the larger plate and the candlestick from the Dollar Tree. I found the smaller plate at Tuesday Morning for 99 cents. So including the adhesive, which I can use for so many things, I spent a little less than $6 for this project!! 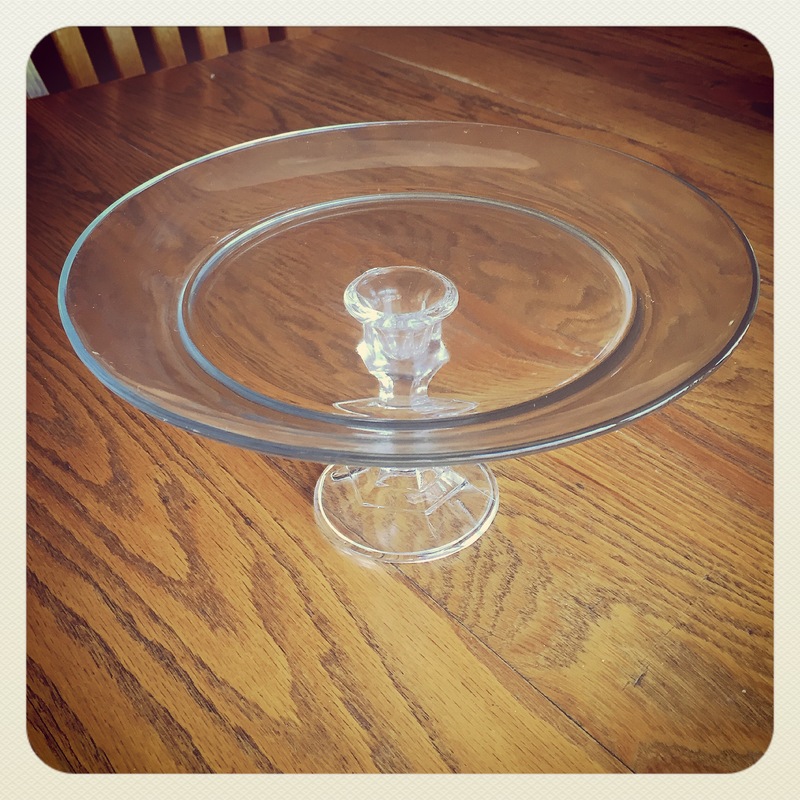 To assemble the serving dish, put a thin bead of adhesive on the bottom of the candlestick. Center it over the large plate (I just eyeballed this) and press the candlestick to the plate. Use a damp cloth to wipe up any adhesive that squeezes out. Then apply adhesive to the top of the candlestick and attach the small plate. Let dry for several hours and you have your very own, one of a kind serving piece! I always hand wash my serving dishes – I’m not sure how they would do in the dishwasher. They do hold up very well, though. I’ve had the Christmas one pictured below for several years. I even store it in a cabinet in the garage…in the Alabama heat…and it is still as good as the day I made it :). Thrift stores and garage sales are great places to find one of a kind plates and bowls – melamine plates come in endless colors and patterns as well. You can also use different heights and styles of candlesticks to change the look. So many ways to make it your own! Birthdays, house warming, wedding showers, Christmas…Fill these great serving dishes with treats for a fun and unique gift. Or use them in your bedroom or bath for a pretty storage option for jewelry or bath essentials. This entry was posted in Decor, Gifts, Organization, Uncategorized. Bookmark the permalink.